Martha Stewart was on the Today show this morning talking about herbs. She pronounces the “H”. Here’s a link via hulu. You’ll have to suffer through a 30 second commercial. 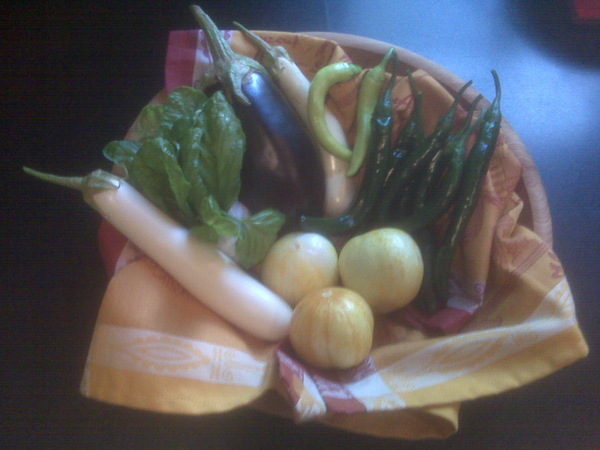 Martha’s segment has inpired to do today’s post on what you can plant and grow right now — Veggies, Herbs and Vines. Plant now: Veggies and Herbs. After the threat of frost has passed and your soil has warmed, start planting your summer herb and vegetable garden. 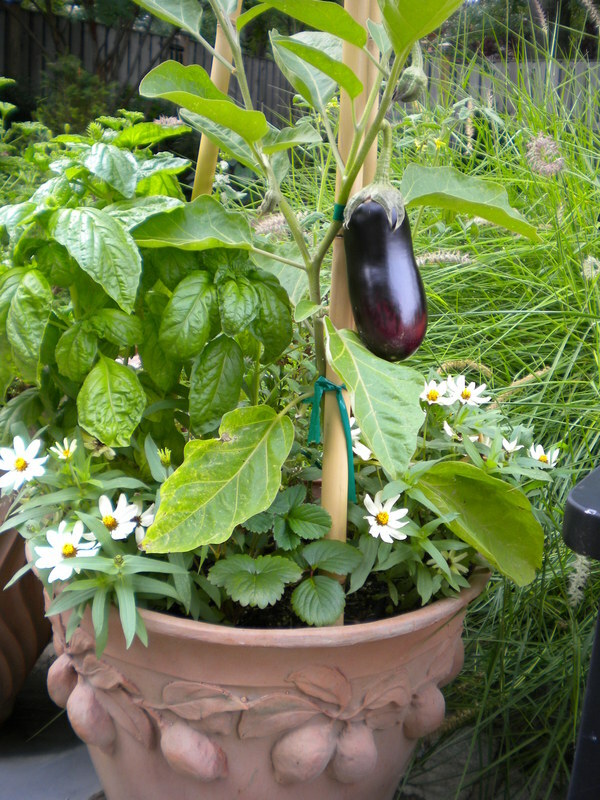 Some veggie choices I’ve had great luck with in containers include eggplant, peppers, tomatoes, and zucchini. Seeds are more budget friendly, and it’s always great fun to swap seeds with friends, but some of us may not have those types of friends. Small plants can be purchased from your nursery for not more than a few dollars per plant. This is the route I took last year when planting my containers, below, which included lemon cucumbers, also pictured below. Some of my favorite herbs to grow each year to use for cooking and grilling include basil, rosemary and thyme. Grow now: Vines. Charming and low maintenance, vines offer great a solution for those seeking to add color and fragerance to their outside spaces. Some favorites are Purple wisteria and Crossvine ‘tangerine beauty’ for color and fragrance. Carolina Jessamine has very aromatic flowers (not to be confused with Swamp Jasamine which has fragrance-free flowers,) and Tumpet honeysuckles such as ‘Major Wheeler” and ‘JohnClayton’ are favorites as well. DavesGarden.com, an informational website where a large community of experts share information, has a wonderful in-depth feature on huneysuckles by Paul Boland which you can find online here. Check your local nursery for a good seleciton of vines that are available in your area.